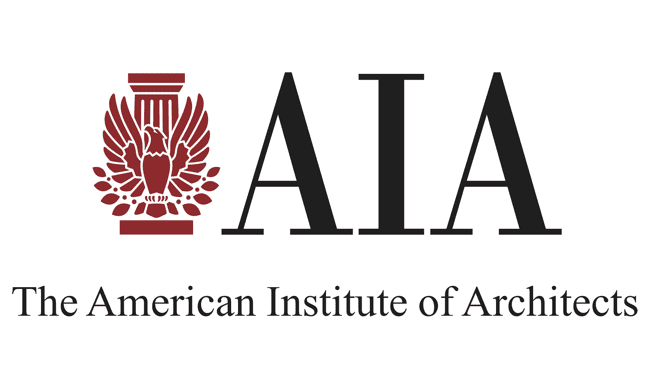 Washington, D.C. – June 25, 2015 – (RealEstateRama) — The American Institute of Architect (AIA) has selected Alyssa Tope, Assoc. AIA, and Edward Palka, Assoc. AIA, to receive the 2015 David W. Lakamp a/e ProNet Scholarship. The program, initiated by ProNet, a national association of insurance brokers who are committed to providing liability insurance and loss prevention to architects, is awarded to architecture students who demonstrate a particular interest in the principles of management in architecture practice. Tope and Palka will both receive $5,000 to use towards their tuition. The a/e ProNet, the scholarship is open to third and fourth year undergraduates as well as graduate students of architecture enrolled in a NAAB- accredited professional degree program. Submissions are reviewed by jury members of the AIA Practice Management Knowledge Community. Candidates were graded on their transcripts, letters of recommendations, and an essay on how they would resolve a project management dilemma. Alyssa Tope, Assoc. AIA, completed her Bachelor of Science in Architecture and Sustainability at the University of Minnesota in 2013 and is enrolled in the M.Arch program at Virginia Tech while currently working towards licensure at WholeTrees Architecture & Structures. Working at a small (five person) office requires Tope to wear many hats, which has accelerated her learning about not only design, but also practice management and the business of architecture. She has gained experience in all avenues of business, including accounting, marketing, human resources, grant writing, code research, project management, and product research and development (with the USDA Forest Products Laboratory). Tope has also learned that many risks in project management can be prevented by having a team that knows how to collaborate and problem solve together by being aware of each other’s weaknesses and strengths. She enjoys working on the edge of what is currently accepted in design because, although it involves more risk, it is also where the greatest potential for change exists. Edward Palka, Assoc. AIA, recently graduated from the University of Minnesota with a Bachelor of Science in Architecture and will begin the M.Arch program at Columbia University in the fall of 2015. He has held internships at HGA Architects & Engineers in Minneapolis, Poltronieri Tang & Associates in Swarthmore, PA, the Children’s Inn at the National Institute of Health (NIH) in Bethesda, MD., and has begun another internship at KieranTimberlake in Philadelphia. In these roles, Palka has had experience working on projects through all phases from pre-design through construction administration. Additionally, he has worked on research initiatives professionally and academically related to building information modeling (BIM) integration and education, daylighting strategies, and analysis of spatial configurations of housing developments. Beyond a passion for architecture, Palka’s professional experience has brought him an interest in the design of architectural practice itself, including firm structure, marketing, technology and workflow integration. He is currently working through his IDP hours, hopes to become licensed soon after graduating with his M.Arch. Started in 1990, the scholarship was renamed in 1999 for David W. Lakamp. Mr. Lakamp was a founder of a/e ProNet and a trusted advisor to the profession. He left behind a legacy of professionalism and integrity that set new standards in the field of insurance services. The jury for the 2015 David W. Lakamp a/e ProNet Scholarship includes: Thomas G. Coghlan Design Insurance Agency, Inc.; David B. Richards, AIA, LEED, AP, PMP, Rossetti and Jason Dale Pierce, AIA, NCARB, LEED AP BD+C, HOK.